This is a one-of-a-kind luxury masterpiece, with a blend of attributes that you will not find elsewhere. 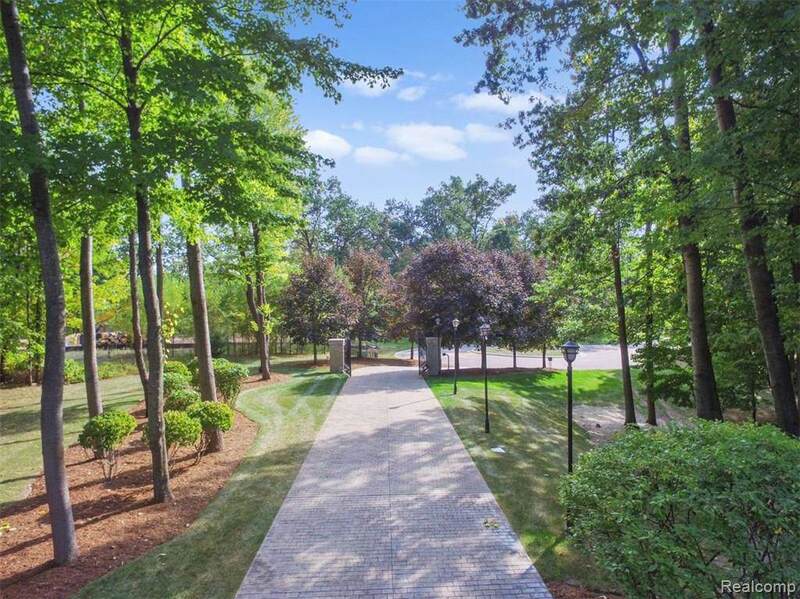 The easy access to M5 corridor with wooded acreage provide that "up north" experience, while maintaining convenient accessibility to the Metro Detroit hustle and bustle. Situated on the serene, private Ellenwood Lake allows swimming/fishing or canoeing/kayaking opportunities, while also enjoying all the privileges of boating/jet skiing & sandy beach of the private all-sports Commerce Lake. The photos scarcely capture the sophistication and artistry of the home, which was featured in Styleline Magazine for it's exquisite design. Every feature was visualized, collected, and lovingly placed. You will enjoy every luxury amenity, presented in the most beautiful selections of wood, stone, crystal, and tile, and with the highest quality of custom craftsmanship. 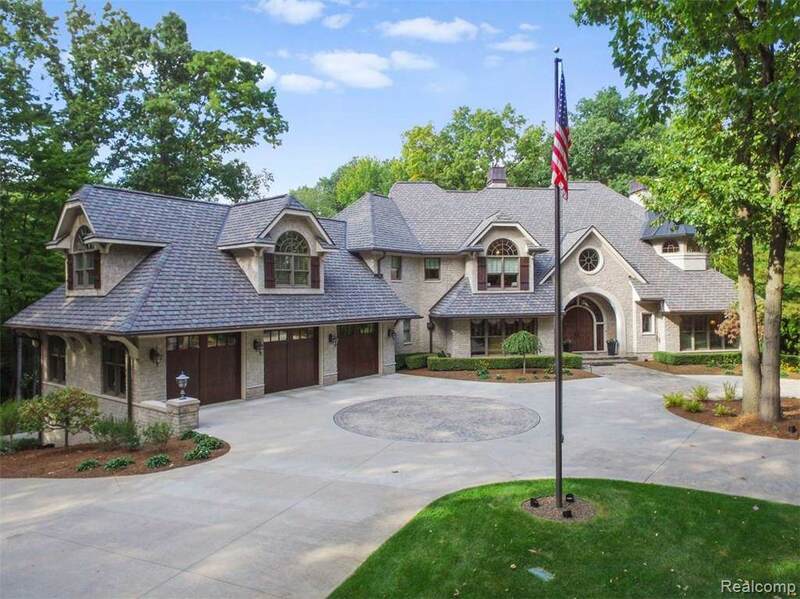 The 7-acre property provides a wealth of privacy & nature, and heated driveway leads to a 2-story, 6 car garage. Truly a dream! Copyright 2019 Realcomp II Ltd. Shareholders. Real estate listings held by brokerages other than The Toth Team - Keller Williams Ann Arbor Market Center are marked with the Realcomp-approved IDX logo and are provided through IDX through Realcomp II Ltd. IDX information is provided exclusively for the consumers' personal, non-commercial use and may not be used for any purpose other than to identify prospective properties consumers may be interested in purchasing. Any use of search facilities of data on the site, other than by a consumer looking to purchase real estate, is prohibited. The accuracy of all information, regardless of source, is not guaranteed or warranted. All information should be independently verified. Data last updated: 2019-04-22T20:56:30.933. © 2019 Ann Arbor Area Association of Realtors Multiple Listing Service. All rights reserved. IDX information is provided exclusively for consumers' personal, non-commercial use and may not be used for any purpose other than to identify prospective properties consumers may be interested in purchasing. Information is deemed reliable but is not guaranteed accurate by the MLS or The Toth Team - Keller Williams Ann Arbor Market Center. Data last updated: 2019-04-22T21:12:10.863.Copyright 2019 Realcomp II Ltd. Shareholders. Real estate listings held by brokerages other than The Toth Team - Keller Williams Ann Arbor Market Center are marked with the Realcomp-approved IDX logo and are provided through IDX through Realcomp II Ltd. IDX information is provided exclusively for the consumers' personal, non-commercial use and may not be used for any purpose other than to identify prospective properties consumers may be interested in purchasing. Any use of search facilities of data on the site, other than by a consumer looking to purchase real estate, is prohibited. The accuracy of all information, regardless of source, is not guaranteed or warranted. All information should be independently verified. Data last updated: 2019-04-22T20:56:30.933.